The world of e-Commerce involves a variety of spheres and has a great influence on each of them. There is no need to convince you that Internet is the area which occupies a great part of our time. So, in your opinion, are e-Commerce and music industry connected? When you say “yes”, of course, you think about selling it in the internet. However, maybe, it is a high time to disclose a secret and talk about the things that have been unsaid. The mystery of the Beatles songs has been unveiled by Abandanaid, a powerful cart abandonment tool. A playful infographic shows the key e-Commerce tips but in a kind of unexpected way. 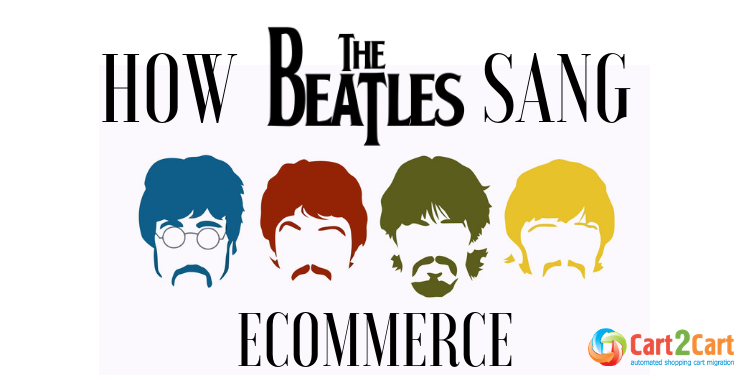 The designers used their creativity and found out that the Beatles sang about digital market. Therefore, what were the main tips for e-merchants Fab Four wanted to tell? A pieces of advice and important statistics, considering one or another point, have to give a clue what pay attention to while leading your online business. Have a look at that amazing infographic and find out the real implication of the Beatles’ hit songs. You are impressed, right? This infographic is an awesome wit and creativity combination for e-merchants who would like to improve their business. Therefore, you can analyze what need to be enhanced or not, listening to the legendary rock group - the Beatles.